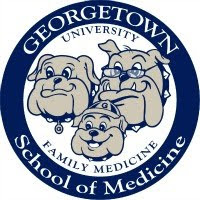 The following post consists of lightly edited excerpts from several e-mail exchanges among members of the Family Medicine Education Consortium between May 20-26, 2014. I don't understand why non-physicians seem so indifferent to this aspect of our work lives. Their attitude always seems to be some version of "the details of the rules are boring, you're a rich doctor, so quit complaining." These awful rules affect their patient experience. Patients complain about their doctor being rushed and not listening to them. CMS rules often cause us to behave this way. I wonder if this group would want to try to submit something to CMS about what we should really measure with patient outcomes like quality of life. Not sure who could take the lead, but having a lot of names on such a document would be a strong statement to them at least. Be careful what you ask for. The whole quality movement in family medicine has led us astray: it assumes there is one right answer for a medical issue, e.g., antibiotics one hour prior to major surgery. Because of the complexity of what we do, often there is no one right answer, so what do we measure? The quality improvement (QI) movement is largely unable to risk adjust. If we propose measures for quality of life (QOL) outcomes for constructs such as energy levels, sleep quality, shortness of breath, then we create incentives for family physicians to "dump" the sickest patients, which is exactly the opposite of what this country needs. Up to now, QI has assumed that more is better, which is anti-family medicine. None of the criteria measure things we don't do to patients. The Choosing Wisely campaign offers hope for a more balanced portfolio. Politicians, regulators, and industria-crats don't want to hear this, but a lot of the value of our services simply can't be measured. Many of our decisions have no evidence base to declare one right answer. To even accept simple disease-specific measures as an overall assessment of care quality implies that our decisions are simple and straightforward, when nothing could be further from the truth. This is not to say that physicians and their practices should not reflect on their own performance and measure internal processes to improve local care delivery systems. There is value to performance improvement, just not as a summative evaluation of a physician or practice. So let's all sign a document that tells CMS to abandon the folly of measuring family physician quality with simplistic electronic medical record- or billing-based measures. Our worlds are too complex for the computers to keep up with. I agree what we do is very, very subjective. But the alternative is to wait to see what they decide on and be forced to practice that way. Someone, somewhere is going to hold us to something; we should decide what that is. Maybe it is relationships. Maybe it is intent to change behavior. Maybe it is QOL but with wiggle room - a movement of QOL in the right direction counts as much as better QOL. This is the kind of conversation we need where we offer something that we think we could be measured by, not just what we don't want to be measured by. Submit to, or occupy CMS? Only the latter will have any meaningful impact. I think this is a challenge for the Family Medicine community. We have a talented core group of researchers who understand both quantitative and qualitative measurement methods. Also, Direct Primary Care can remove the control of those who juggle the carrots and place the measurement that matters in the hands of the patient. I will be attending a symposium in about two weeks to talk about future research directions concerning behavioral change. One of the most important things we do in family medicine is to help patients make decisions around, and commitments toward, change. What can we measure that makes a difference? 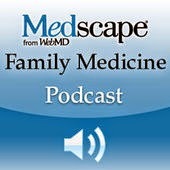 What is it about family medicine that helps patients in that process? David, this probably comes as no surprise, but I disagree with your "most important things" statement. The most important thing we do is not to cause patients to change their behavior, but to non-judgmentally accept them as they are and to foster a lifelong conversation with them about their options and trade-offs for every health-related concern they have. How much impact do we have on causing smokers to quit long-term? About 5%. How much do we affect weight loss? Essentially none at all. We should tell our patients to go to Weight Watchers and not waste their time or society’s resources trying to "educate" them into lower weights. These outcomes are not what is so valuable about family physicians. This is another example of why industrial QI thinking doesn’t work for much of family medicine. QI assumes there is a discrete outcome that can be declared as success or failure within a relatively short time frame: over a few Plan, Do, Study, Act cycles. One of the ways we deliver better care at a lower cost is to foster an endless series of negotiations with patients over a lifetime, constantly adjusting the options and goals as the natural history of the disease evolves and all of the other changes in their lives affect their health: births, deaths, job loss, job gain, bouts of depression, bouts of elation, and everything in between. This is the message CMS needs to hear. Maybe a measure about how much time your family physician talked to you about your options would be valid. Of course, this shouldn’t be measured until CMS agrees to pay us to take the time to implement it. Richard, as a patient who wants a doctor to work WITH, not to be harangued by, your point is spot on. I love my family doctor because he assumes I am an intelligent individual who wants to be healthy and live a happy long life -- not a bag of organs in need of fixing. Friends, this is an interesting series of comments. I've noticed after about 177,000 patient encounters many similarities and differences. One of my responsibilities as a Family Physician is to make sure that each patient knows that he or she matters - sort of a human validation and often a role validation (father, mother, patient, guardian, etc.). AND, know that I matter, too. Could we have a measurable energy that when combined with our context and the patient's context, delivers wholeness? The human energy field of patient and physician engaged in dyadic sharing and mutual interdependence may be measurable as technology evolves (probably with a cell phone). Their fear of short or long term loss, or that we won't connect to their reality and further mis-align them with their potential, combined with our fear that their problem might exceed our skills or our coding skills or our employer's mandates for our scope of practice and time allotment may suddenly (or over time) melt into a mutually beneficial human dance of meaning, enhancing organ and system and spiritual unction for both. Can the creative tension of this dyadic dance show merit of a financial sort to someone who might pay? I love what I get to do. I love being a Family Physician. I'm blessed to get a close look at the human condition in the context of meaningful relationships that enable humans to better align with their values, goals and dreams. And measurable or not, my values, goals and dreams are included in the outcomes of doing Family Medicine. Over the weekend, a family physician colleague asked me to explain why the Affordable Care Act requires private health insurers to provide first-dollar coverage for preventive services that the U.S. Preventive Services Task Force assigns an "A" or "B" (recommended) rating, but allows public insurers (Medicare and Medicaid) to determine if and how they will cover these services. Until recently, the question hadn't come up, since Medicare has agreed to cover pretty much every screening test or preventive medication deemed by the USPSTF as being effective (or, as the Task Force would say, benefits outweigh harms). Low-dose CT (LDCT) screening for lung cancer in heavy smokers over age 55 is the first case to highlight the implications of this legislative leeway; given a "B" rating by the USPSTF last December, this test was nonetheless rejected by Medicare's Evidence Development and Coverage Advisory Committee (MEDCAC) at its April 30 meeting for having insufficient evidence to convince them that seniors would actually benefit from it. If Medicare follows MEDCAC's lead and declines to cover LDCT scans, a 64 year-old with a greater than 30 pack-year smoking history and any private health insurance plan will be able to receive lung cancer screening for free, while a 65 year-old with the same medical history and Medicare coverage will need to pay $300 or more out of pocket or skip the test. That outcome would make sense to neither patients nor physicians, and unsurprisingly, the American College of Radiology released a strongly worded statement as soon as the MEDCAC decision was announced, reaffirming its support for "full national coverage of these lifesaving exams." Outraged radiologists can rest easy. The politics of this situation mean that Medicare will likely override the advice of its advisory committee, regardless of what science says. 44 senators have already sent a letter to CMS Administrator Marilyn Tavenner urging that LDCT be covered as soon as possible. Medicare expects to release its coverage determination in November, around the time of the midterm elections, and as readers of this blog recall from the 2010 midterms, the current administration has a record of disregarding inconvenient evidence from federal health agencies when control of Congress is at stake. I and many others who are familiar with the evidence (including the American Academy of Family Physicians) believe that the Task Force overreached in declaring lung cancer screening to be beneficial based on a single abbreviated randomized trial that focused more on the benefits of screening than the physical, psychological, and financial harms (described further in a recent JAMA Internal Medicine paper) that result from the screening cascade. Even when screenings are "free," subsequent diagnostic tests and treatments are not. Further, the USPSTF extrapolated from data on 3 years of LDCT scans to recommend that screening continue annually for up to 25 years in smokers who don't quit, and extended the upper age limit for screening 6 years beyond anyone in the trial (from age 74 to 80). What's the long-term risk of developing cancer from the additional radiation of 20 or more LDCTs, plus several additional full-dose chest CTs precipitated by a 96 percent false positive rate? How many more biopsy-related and surgical complications will occur in practice than in the trial? No one really knows, and that's why I worry. An editorial published yesterday in the Annals of Internal Medicine makes a good argument for a middle ground between screening only seniors who can afford it and the roughly 9 million Americans who are potentially eligible for the test: "for CMS to offer coverage of LDCT screening only when it is done in facilities that are certified as comprehensive, patient-centered programs designed to maximize benefits and minimize harms." It would be nice if these conditions were met at every institution that offered screening tests to seniors, but unfortunately, many providers are more interested in maximizing profits than improving health outcomes. For LDCT, a screening test for which the jury is still very much out, this proposed policy offers a rational way forward. Unwarranted variations in medical care contribute to poor health outcomes in the United States. In many cases, following a standard management protocol is likely to produce as good or better results than clinical judgment alone. For example, American Family Physician's Point-of-Care Guides provide high-quality clinical decision rules and tools designed to improve quality of care for problems encountered by family physicians in outpatient and inpatient settings. 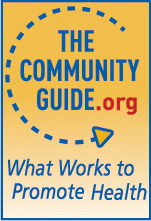 Similar principles have guided the management of patients presenting to emergency departments with severe sepsis and septic shock since a 2001 randomized trial found that early goal-directed therapy, or EGDT (including central venous catheterization, intravenous fluids, vasopressors, inotropes, and blood transfusions) improved mortality compared to usual care. A 2013 AFP review, "Early Recognition and Management of Sepsis in Adults: The First Six Hours," recommended using the EGDT protocol and concluded that "timely initiation of evidence-based protocols should improve sepsis outcomes." This conclusion was recently put to the test in a multicenter trial published in The New England Journal of Medicine. 1,341 patients presenting to 31 emergency departments in the U.S. were randomly assigned to protocol-based EGDT, procotol-based standard therapy, or usual care. Surprisingly, the trial found no statistically significant differences between the three groups in 60-day mortality, longer-term mortality, or the need for organ support. Protocols that force physician behavior risk promoting inappropriate prescribing of broad-spectrum antibiotics for noninfectious conditions, unnecessary testing, overuse of invasive catheters, diversion of scarce ICU capacity, and delayed identification of nonsepsis diagnoses. Two lessons from this study for the management of sepsis and other areas of family medicine are that decision rules and protocols should be derived from replicable studies conducted in multiple settings; and that these tools can sometimes enhance, but should not supplant, best clinical judgment. This post was first published on the AFP Community Blog. Compared to all others, students entering family medicine were statistically more likely to recommend generic over brand-name medications and favor initial lifestyle change counseling to starting medication for a mild chronic condition. Sure, it's easier for everyone when guidelines agree on what to recommend for a particular patient in a particular situation. But when “reaching alignment" is simply a euphemism for one guideline group exerting political pressure on others to fall into line, that isn't good for medicine or for patients. With the goal of improving access to preventive services and medical screening, the Affordable Care Act offers free screening mammography to women. However, women often pay for the consequences of screening, even if the screening examination is free. I believe that health insurance should be a mandatory financial mechanism for paying for unexpected, catastrophic health expenses, just as fire insurance will pay if my house burns down or flood insurance will pay if a hospital in a low-lying area is devastated by a hurricane. On the other hand, health insurance is a grossly inefficient mechanism for paying for expected care - that is, primary and preventive care. Routine social work visits and public policies that spur economic growth, reduce unemployment, and increase access to decent, affordable housing make a much bigger difference in health outcomes than do medical preventive services. If you have a personal favorite that isn't on this list, please let me know. Thanks for reading! Dino Ramzi, MD, MPH is a family physician who practices in Washington State and blogs at DinoRamzi.com. You can follow him on Twitter at @dwramzimdmph. I was recently called a troll on Twitter by academic physicians at two universities, one to which I was once affiliated. When I looked it up, I found that a troll is “a person who sows discord on the Internet by starting arguments or upsetting people, by posting inflammatory, extraneous, or off-topic messages in an online community, either accidentally or with the deliberate intent of provoking readers into an emotional response.” I wanted to strike back, but with wise counsel and some peace in my heart, I decided not to act like a troll. The internet is proving no different than other forms of speech; it is fraught with rules of conduct and the opportunity for conflict. State medical boards, the American Medical Association and the Federation of State Medical Boards have written guidelines describing the limits to appropriate social media interactions for physicians. Most of these guidelines understandably focus on interactions with patients, but the FSMB comments on professionalism between physicians, albeit vaguely. Having been active on social media for over a decade, I have found that the combination of anonymity and the emotions aroused by poor grammar and typos mix poorly with the power to publish at a moment’s notice. It is also difficult not to allow professional and personal unhappiness to seep too deeply into one’s writing. The unhappiness is fleeting, the posts are more permanent. Some of the conversations I have seen and been involved in would raise the hackles of many a state medical board or academic employer. People do not speak with each other online as we would face-to-face. In academic circles, I would be invited to thoracic surgeons’ homes to dine and occasionally to spar politely with the chief of cardiology. But online, the discussion does not hide professional contempt and degenerates swiftly to the direst rants. I am aware of at least one urologist who lost an academic appointment after “losing it” during an online academic dispute. Conversational flash points with subspecialists have included PSA screening, mammography, and most recently, CT screening for lung cancer. It is amazing how physicians react when their authority is challenged. There is a lot of shoddy science out there being accepted as fact without good grounding in clinical epidemiology. Physicians who raise doubts about the effectiveness or value of screening are frequently the target of unwarranted online opprobrium. My primary concern is that screening is a population health measure, and while I want to understand the perspectives of subject experts, they are less qualified than primary care scientists to make decisions regarding screening policy. Make no mistake, I am a family physician and, like most generalists, have been exposed to specialists who belittle my knowledge, skills and credentials; it comes with the territory. Still, it stunning to hear disease experts repudiate the input of their more statistically-inclined colleagues. Screening, properly understood, has nothing to do with expertise in the disease. Surgical expertise and understanding of the biological behavior of various types of cancer cells does not translate into a basic understanding of epidemiology 101. My second concern is the professionalism of the discourse. The disputes in question are essentially scientific, although the medium is better-suited for marketing than academic discussion. Claims like “you have your study and I have mine,” as I have heard, are not helpful to the integrity of the debate itself. There has to be an approach to dialogue that does not take a page out of the strategic communications handbook. In both the mammography and PSA controversies, urologists and other lobbies applied tremendous pressure on the population health experts to generate recommendations favorable to their cause, a process which undermines the credibility of science itself. My third concern arises from my reading of the FSMB's guidelines on social media. The FSMB would suggest that physicians should be held to a higher standard of behavior, which means avoiding profanity even if goaded. Physicians inexperienced in social media may fly off of the cuff, especially given that 140 character messages can lead to misunderstanding. Much better to ask repeated clarification, especially on the part of physicians exercised in the art of nuance, who can frequently take 4 to 5 posts to express themselves properly. When ideas are condensed, it is easy to miss two or three layers of allusion or implication. Better to take it into a medium better suited to lengthier discussions of ideas. Remember that social media are public media where professional respect and a higher standard of behavior is expected, not for personal reasons or pride, but for the integrity of the scientific debate. We can all learn from each other, in person and online. Think before you post, or consider bouncing words written in anger off a trusted colleague before posting. There are many ways of "knowing cancer"
In my line of work, it's not uncommon for a civil debate about the evidence for a cancer screening test (such as the PSA test for prostate cancer) to rapidly degenerate into the other person questioning my motives or suggesting that the real reason I oppose disseminating or requiring insurers to pay for a test is because I secretly want patients to suffer lingering and painful deaths. ("He obviously doesn't care about truth or patients," an academic urologist once tweeted in response to my blog post on pitfalls of screening studies.) Another charge that screening advocates level at skeptical family physicians is that we "don't know cancer" because we are generalists who don't see cancer patients day in and day out. I have countered that it's entirely possible to care for patients who die from cancer and still require high-quality evidence of net benefit before widespread adoption of interventions that might prevent such deaths. This begs a larger question, though: how can any physician or researcher who has never personally suffered from cancer claim to "know cancer"? Is it enough to have spent years or decades studying the epidemiology, diagnosis, and/or treatment of a particular type of cancer? Must one have diagnosed or treated a certain number of persons with cancer? Or can one only know cancer though enduring the trauma of having an afflicted parent, sibling, child, or spouse? The Task Force seems to have looked for findings where there was “consensus” between the models as a way of overcoming the heterogeneity between them. However, because they are starkly different on so many fronts, looking only for the overlap is reminiscent of the Texas sharpshooter and the fallacy that accompanies him. The sharpshooter shoots first at the barn and then draws the target around the greatest cluster of hits. As he [Ruth's oncologist] wrote out the prescription for her to start the next treatment, what doctors call “second-line treatment,” I recalled a colleague of mine explaining the progression from first-line to second-line to third-line treatment. Each successive change brings more side effects with less chance of benefit. As my colleague put it, the cancer gets smarter, the treatments get dumber. Somewhere in this progression the trade-off no longer makes sense. Where that is may differ for each patient, but I’ve often thought that cancer doctors go well past that point. None of that mattered to me, the medical professional to whom all these nuances and trade-offs should. All I could think about was the blood test telling us the tumor marker was too high. With that, any dreamy conceit—that patients should be given enough knowledge that they can weigh the risks and benefits for themselves, then come to the choice that best suits them—flew out the window. Our choice wasn’t a choice. Take the chemo. There is no doubt in my mind that Dr. Bach would, in a heartbeat, exchange any moral authority he derives from having "known cancer" in this intimate way to have his wife back. All of us involved in confronting cancer in all its forms - specialist and primary care clinicians, advocates, patients, family and loved ones - know cancer in different ways, and none should be held up as inherently superior to any other. In debates about cancer screening, we may disagree about "truth," but like Dr. Bach, we all care about patients.